Small businesses favour certainty over circus tricks, and the announcements made in last week’s Budget have received a generally positive response from entrepreneurs, especially in the context of a growing economy. Many will be happy that Entrepreneur’s Relief remained largely unchanged, providing a 10% capital gains tax rate on disposal of qualifying shares and assets up to a lifetime limit of £10million. There has been political and media scrutiny of the relief since a report from the National Audit Office last November suggested that its cost had increased to almost £3bn. In the Budget, a few anti-avoidance measures were announced to prevent certain structures involving indirect ownership of trading businesses from qualifying for the relief. There was also a positive move to extend Entrepreneur’s Relief to cover shares that academics hold in university spin-out companies – where the intellectual property or technology that they have developed has been commercialised by the company. This will encourage academics to view their work in a business context, and perhaps enable them to qualify for the 10% capital gains tax rate, despite not meeting all of the current conditions. Many entrepreneurs will also be celebrating that the Budget included a plan to remove annual personal and business tax returns, and move to digital tax accounts over the next five years. This might reduce some of the compliance burden for small businesses and individual entrepreneurs, although there is some concern over whether the timetable set out for such a huge IT project is achievable. Whether or not the Budget was helpful for entrepreneurial businesses will depend upon where the business is based and whether it’s at a stage to take advantage of measures such as the establishment of new incubator centres around the country, or boosting Britain’s export drive into China. However, there was universal good news in the Budget for entrepreneurial companies seeking to raise finance through the Seed Enterprise Investment Scheme (SEIS) and the Enterprise Investment Scheme (EIS). The government has announced that a qualifying company in its early life will now be able to raise more than £150,000 in external financing in one go, and for the full amount to qualify for these reliefs. As a result of removing restrictions to spend at least 70% of this SEIS money before raising further funds under EIS, a new business will not be turning down investment in its initial funding round. Companies will also be pleased to see confirmation of the research and development relief rises announced in the Autumn Statement. This means that the rate of above the line credit will increase from 10% to 11%, and the rate of the SME scheme from 225% to 230% from April 1st 2015. Following consultations, the government has also introduced measures that allow small companies making their first research and development tax relief claims to apply to HMRC for voluntary advanced assurance. This will provide more certainty on the claim for three years. The Chancellor suggested that £25,000 was too low for the annual investment allowance for business from January 2016 and it was disappointing that he did not propose a higher level for this allowance. This leaves entrepreneurs and their businesses uncertain as to how much capital investment in 2016 will be fully deductible against their taxable profit. Attention has now switched to the General Election in just over a month’s time – and the potential for another budget in June. 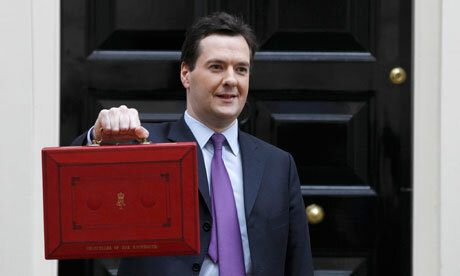 This may well contain far more extensive changes for entrepreneurs than last week’s Budget.